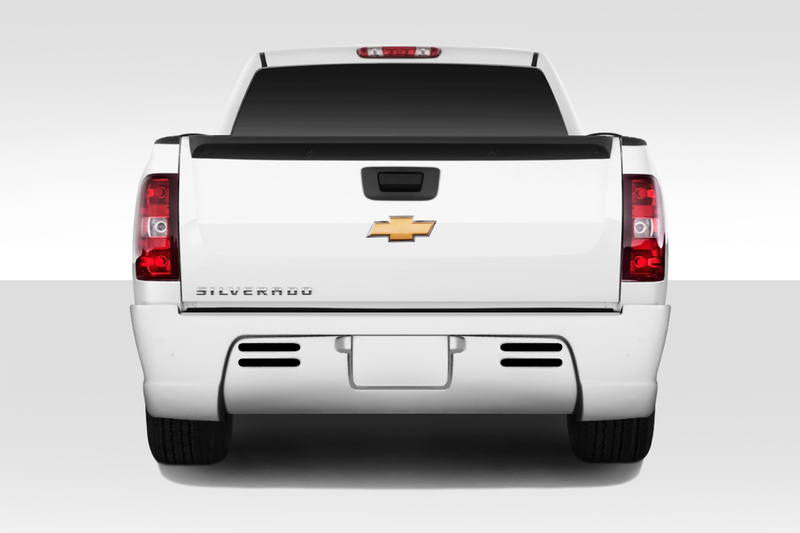 The 2007 Chevrolet Silverado marked a change in body style and a leap forward in styling. 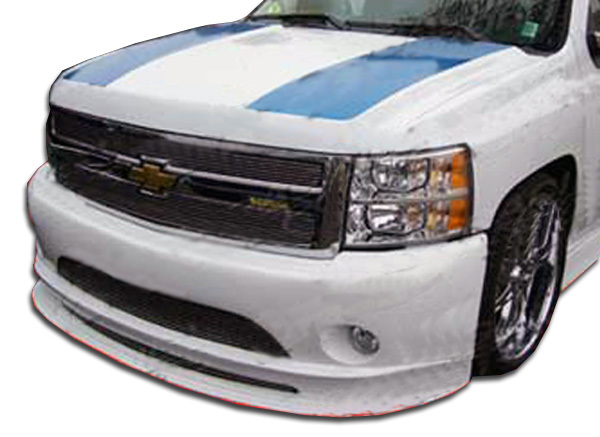 We carry a full catalog of Silverado body kit and styling upgrades including bumpers, roll pans and lightweight custom hoods. Browse our catalog at the bottom of the page to learn about what we can do for your truck. 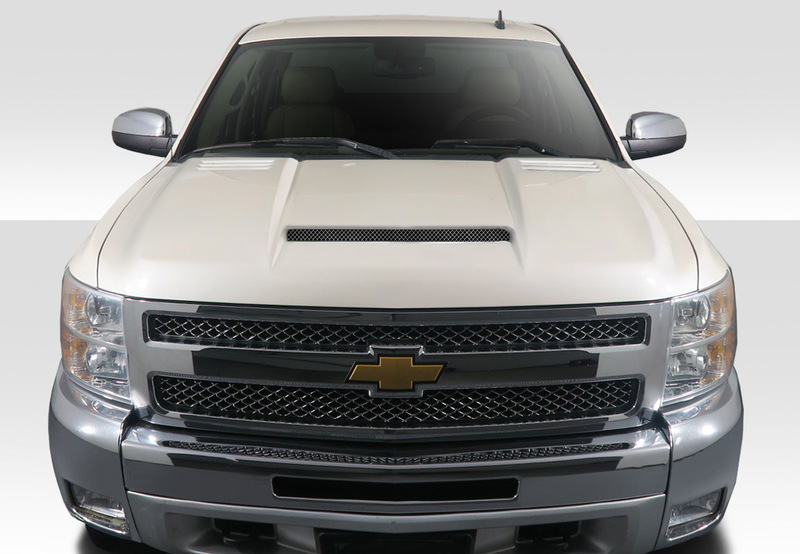 We offer 3 distinct styles of front bumper cover replacements for the 07-13 Silverado. 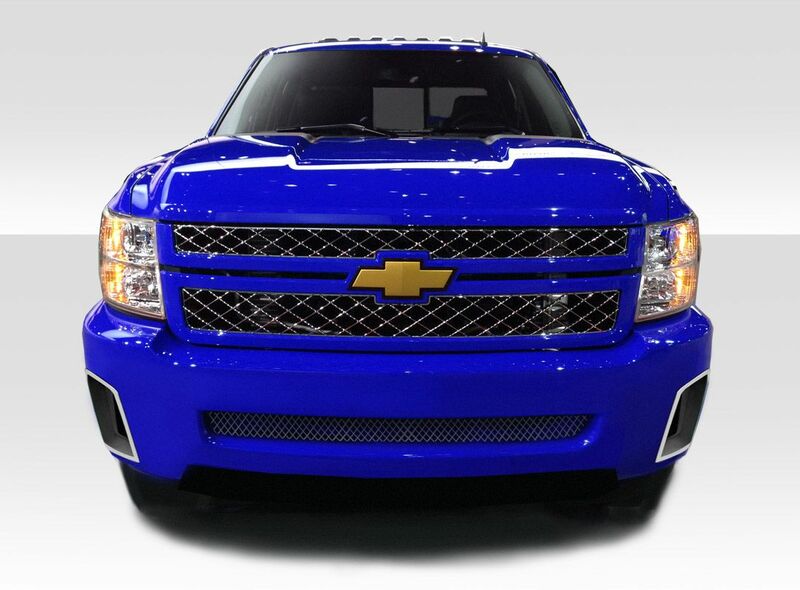 The SS look front bumper we offer has been a customer favorite since it’s release. The styling of the OEM SS design was added to the Silverado by the design team at Extreme Dimensions. Additionally we also offer the Platinum front bumper as well as the BT-1 style. 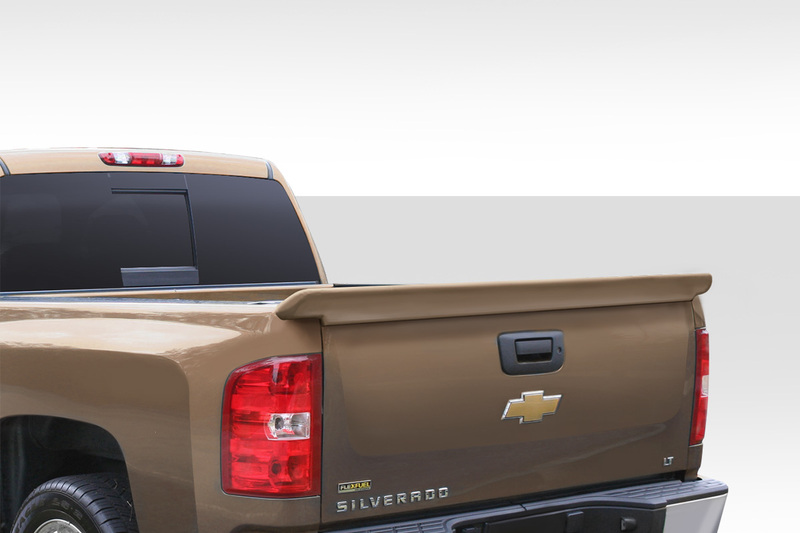 One of the most popular upgrades for full size trucks is changing the hood. 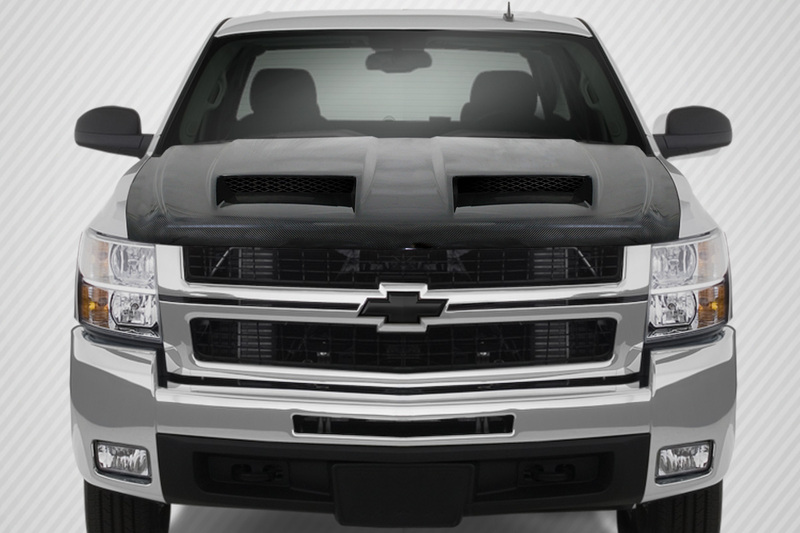 We offer 5 different hoods for the 07-13 Silverado. We offer hoods that provide for more engine clearance by adding a cowl design. Additionally we also offer vented hoods that aid in getting cool air into the engine bay while expelling the hot air. Additionally these hoods weigh much less than a stock steel hood.